Single spiral & single stem, or heavy duty double spiral & double stem construction for added strength. 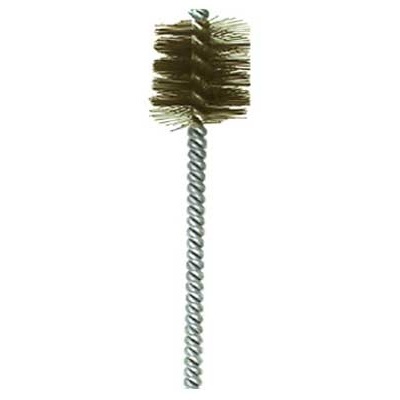 Most brushes have a galvanized steel stem, unless specified that it is stainless steel. For use in portable tools and drill presses, or for manual use. Fill material options are carbon steel, stainless steel, brass, or nylon. 0.078" 1/4" 5/16" 3/8" 7/16" 1/2" 9/16" 5/8" 11/16" 3/4" 13/16" 7/8" 15/16" 1" 1-1/16" 1-1/8" 1-1/4" 1-3/8" 1-1/2" 1-3/4" 2" 8"
0.003" 0.004" 0.005" 0.006" 0.008" 0.010" 0.012"
2-7/8" 3-1/2" 4" 5" 5-1/2" 9" 9-5/8"
0.110" 0.120" 0.145" 0.158" 0.165" 0.190" 0.205" 0.225" 0.235"